Thank you for visiting the web page for Janet Agostino. For those interested in making donations in her name, please visit www.cancer.org for donations to the American Cancer Society. 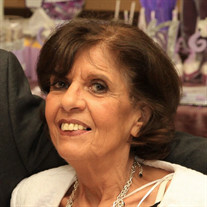 The family of Janet Agostino created this Life Tributes page to make it easy to share your memories. Send flowers to the Agostino's family.